As awesome as Instagram has been to photography, it’s always irked me1 that there isn’t much you can do with those images besides look at them through the app on Instagram site. In that sense, your photos end up belonging to Instagram rather than to you. 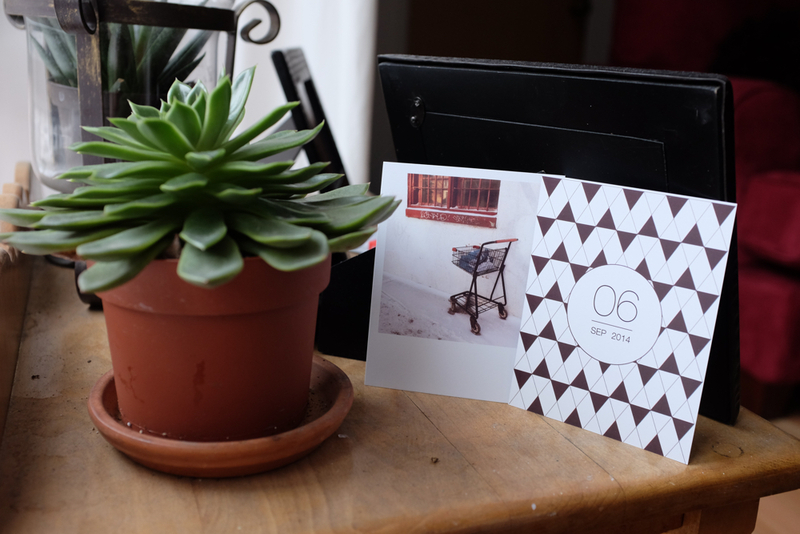 So during a recent head-scratching episode where my girlfriend and I were trying to figure out how to export pictures from our Instagram accounts so we could print them (tip to young adults my age to whom photography is an all-digital proposition: printed pictures make easy and awesome first-home decoration), we were surprised and delighted to discover Origrami, a small printing service that specializes in Instagram print products. Based out of Sydney, Origrami offers of variety of creative small-size print products to pick from, like Polaroid-inspired prints, cards, and tiny magnetic prints. On top of it, it’s designed a series of themes you can pick to adorn the backside of your prints, ranging from simple color backgrounds to detailed photomaps of where you took your images. All come in gift-friendly, intricate, camera-inspired packaging unique to the type of product you purchased. Using the company’s Web interface or dedicated iOS app, you simply give Origrami access to your Instagram account and pick out images you want to upload for printing. 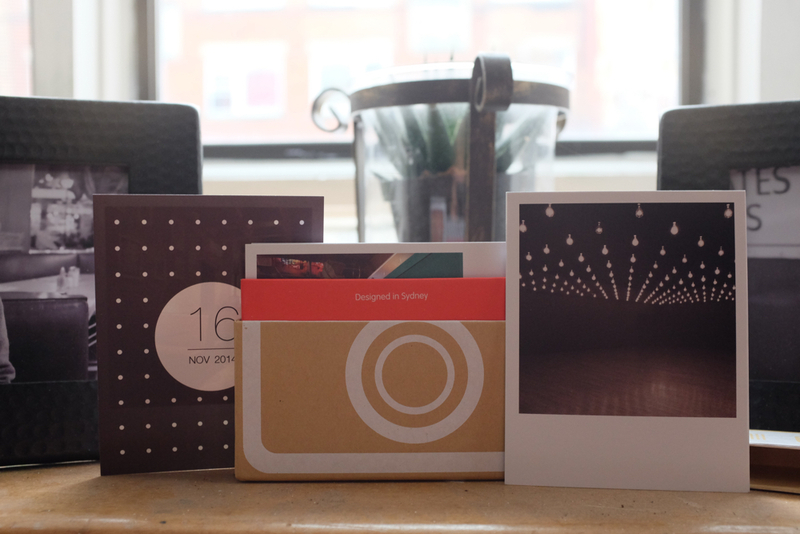 We opted for the Retroprint package, which for $23.95 AUD offers 36 3.5 by 3.5-inch matte prints on Polaroid shaped 4 by 5-inch stock paper. It’s pricy compared to your average drug store 4 by 6-inch print but comparable to what you’d pay for similar per-image off-size printing from a dedicated photo printing shop. The price also includes free worldwide shipping. Granted, it ships from across the world, so it took about 3 weeks for us to receive the pictures. -1 for time sensitivity, I guess, but considering it’s a bunch of paper we’re sticking to a wall for a long time, it’s not the sort of thing we’re anxiously waiting by the mailbox for. The packaging is really and clever and elaborate—and representative of people who enjoy what they do. It’s obviously designed either for gifting or sitting pretty on a shelf. 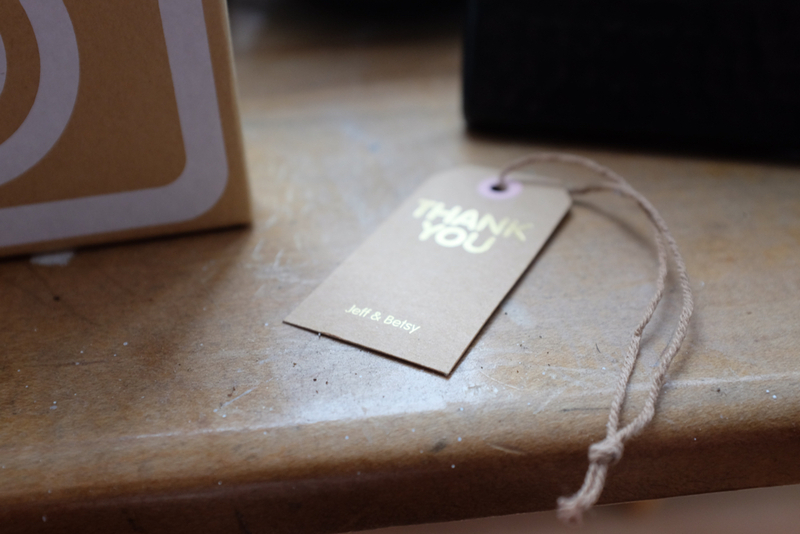 +2 for being able to impress someone who owns a ton of Apple products with your packaging.2 The small mail tag with “Thank you from Jeff & Betsey” emphasizes the charm of small-batch crafted products that’s—rightly so—increasingly popular these days. The ordering process is on point for what you’d expect from an online business in 2015. We used the app and the process was dead simple. The app itself is surprisingly well designed and thought out, interface-wise. Jeff & Betsy are smart: An app is going to appeal more to Instagram users, most of whom are probably doing pretty much everything through an app already, than a website will (the website is for your Instagraming grandpa types). We were each able to link both our Instagram accounts to the app and select photos we wanted to print. The Origrami app will also let you upload and crop images from your camera roll for printing as well. Afterwards we picked out which backside design we wanted for our pictures and finalized our order. So far so good. Thank you Jeff & Betsy! Contain your excitement, however, because image quality is a big letdown. I’d describe it as “okay,” but verging on “less than okay” given how much we paid. Some things were to be expected: It’s normal for matte prints to have a faded or muted quality compared to the same images on your phone, which are backlit by your LCD and given a vibrancy similar to slide film, so don’t be surprised at that. However, the lack of details in anything remotely shadowy or bright means a large part of most images look like blotches of unsharpened color. The effect is worse if you’ve applied any of the more dense filters to your images, as they reproduce in print as a dense color cast to the overall image. Laid out in front of me, I can’t particularly tell any differences in filters other than ‘slightly warmer tone’ or slightly ‘colder tone’. Details are lacking. Black and white prints are lousy and I’d avoid printing them at all. The results look best with pictures shot in cameraphone-friendly scenarios that include direct sunlight or scenes that don’t depend on wide color latitudes or dynamic range. As you’re probably imagining, the vast majority of your filter-enhanced Instagram posts probably do not fit those criteria. Even midday landscapes of your vacation will come out disappointing since much detail and depth is lost in important and tone rich landscape features like the sky or beach or forest or sea. Shame. I want to blame Instagram, except 72ppi is an acceptable standard for Web-based images (where the pixel dimensions are what matter) and the choice is unassailably logical from the perspective of a business trying to hold together a live stream of billions of networked images. Hence the irk. Unfortunately, it’s a limitation Origrami has no solution to. While you can pick images directly from your camera roll through the Origrami app for printing, I can’t really tell a difference between prints that were uploaded from Instagram from those that came from my camera roll. I suspect that Origrami also compresses and resamples your camera roll images down to a similar resolution as Instagram would. All that said, I’m a satisfied Origrami customer. The product experience as a whole is simple and fun and hard not to get attached to—all crucial qualities if you want to sell paper products to people who live in their phones. The backside design in particular encourages you to interact with the image, increasing the odds you’ll actually want to look at them and share them IRL. There are alternative shops out there you could choose, but outside of better shipping delays or specific products you might prefer, I’m doubtful you’ll find one that offers better printing quality, given that they draw from the same low resolution pool of images Instagram makes available. But after a few days, I’ve grown to enjoy the images all the same. The point of printing them in the first place was to create something tangible and permanent out of memories—of places and people and many many cutely arranged meals I’ve eaten—that we usually commit to a digital space focused on sharing and receiving the memories of others at a frantic pace. There’s certainly a power in that and Instagram’s popularity proves it. What’s appealing about a service like Origrami is being able to gather those memories into a place where revisiting them is more than a Thursday exclusive. 1: While you can enable a setting that will save a copy of the captured image to your camera roll, I’ve always noticed that people either never notice its existence or, in my case, don’t enable it because we photograph with another camera app from which we then share images to Instagram. In those instances, the save to camera roll feature just creates unnecessary doubles (or triples if your third-party camera app also offers this feature) in your photo library and is generally cause of much grief for the organizationally conscious. This is before considering that there are tons of pictures you post to Instagram you don’t necessarily want a copy of on your camera roll. Since the save to camera roll option is an all or nothing proposition, I’d argue it’s simply not appealing to the majority of Instagram users. 2: The scoring is entirely arbitrary, by the way. 3: The PPI here is what matters for our purposes, as the ink-jet printing process will covert the PPI number into a dots per inch (DPI) number to determine quality. The printer head places dots of ink on paper to create an image, so the DPI number will determine the exact number of possible dots for your image. More dots equals more color variations, which equals better detail. Despite sounding low-res, a 612 by 612-pixel image can create a beautiful print. At the 3.5 by 3.5-inch size of the prints we ordered, a native 2448 by 2448-pixel square iPhone 5s image has a 699ppi. If we divide our iPhone 5s image by four to shrink it to an Instagram size 612 by 612-pixel image, we end up with a not great but entirely serviceable (especially at these small print sizes) 174dpi. Professional print shops will generally never print below 200ppi, choosing closer to or above 300ppi. However, like pixel count, higher PPI isn’t always better or more desirable. The ideal number will generally depend on the size of the print. Even a PPI in the low 200s or mid 100s is adequate for prints up to 8 inches by 10 inches in size (our 2448 by 2448-pixel native iPhone 5s image can print 8 by 8 inches at 300ppi, so don’t worry about it). At these small sizes, a higher PPI count has a negligible impact on practical image quality, since you observe prints at hand distance or further if they’re framed and you’re generally not paying close enough attention to notice the difference. Print bigger however, and you’ll want the PPI count to increase proportionately to the size of the print until you reach the mid 300s. Beyond that, the effect becomes negligible again. This is a good way of dispelling the confusion over the importance of megapixel density in cameras. You in fact do want a higher megapixel count if you plan on displaying large size prints of your images. Our iPhone image at a square-ish movie poster size of 27 by 27 inches (movies posters on average are 27 inches by 40 inches) would come it at 90ppi. It’ll look worse on a billboard. Thus megapixel count becomes crucial as you try to maintain a pixel-per-inch count of around 300 at larger and larger sizes. That said, it also holds true that for an enthusiast photographer taking pictures of their family to print 4 by 6 prints or make a book with, any mid 2000s or later DSLR (or modern iPhones for that matter) is almost overkill, print quality-wise.